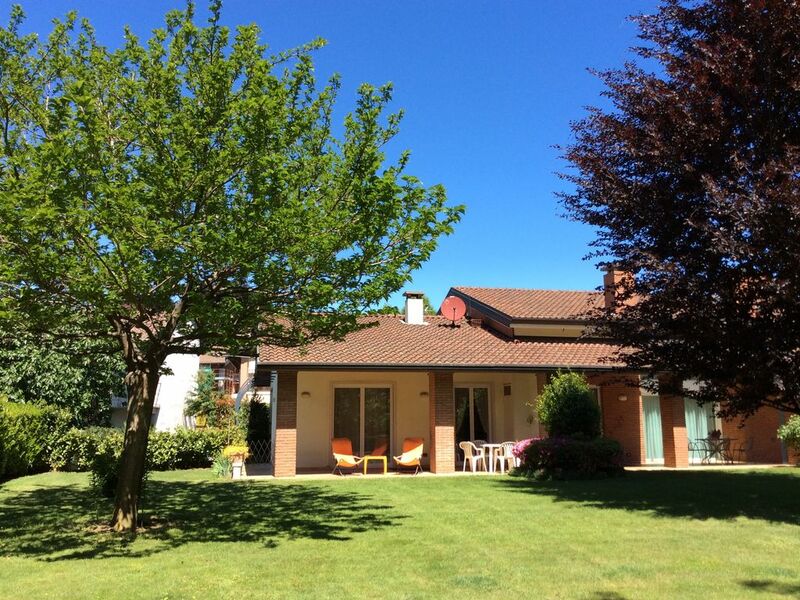 QUIET- SPACIOUS - CLEAN - COMFORTABLE - Ideally located for lovely trips in the area of Lake Maggiore and Orta; 45 minutes from the centre of Milan, 70 minutes from Turin and 90 minutes from Genoa and the sea. The completely renewed apartment is in a recent country house with a beautiful garden. You may find 3 golf courses in a very short distance (less than 8 km) Stresa and the wonderful isles in 30 minutes. The heating cost corriponds to the consumtion during your stay. Final house cleaning included, Bed sheets included, bathroom towels Eur 8. "The apartment is spacious and well equipped and furnished, spotless and comfortable. Located near Lake Maggiore and close to all the lake district. The very large garden is beautiful and well groomed. Liliana & Mauricio are perfect hosts, kind, helpful and gave us good tips about the area. They have a friendly happy dog." "Very nice apartment, good location with great garden and extremely friendly and helpful owners". "There are pretty well-groomed garden, spacious good-furnished apartments. Green quiet and well-groomed place, very friendly owners. Thank you very mach for your hospitality and advises about places of interest. We thank owners very much for their hospitality and advise about places of interest. One thing we liked speccially. I meen very friendly playful owner&#8242;s dog"
"Home is clean and spacius, equipped vell. Lily and Maurizio are very kind people. Wonderful atmosphere. We had fantastic stay. I recommend :)"
Le gîte est très bien placé pour visiter les lacs alentours et permet vraiment de se reposer dans un cadre bucolique après des journées bien chargées. Nous avons passé une semaine fin juin 2018.
le logement est recent , tres agreable a vivre , conforme aux photos. Quel bonheur de prendre ses repas sur la terrasse abritée ( du soleil :) ) et en compagnie de Streepie , la chienne Golden Retriever des proprietaires. L'accueil de Lilly et Maurizio a ete formidable. la rue est tres calme , pas de souci pour se garer. A recommander a 100% et si nous revenons dans la region , nous savons deja ou nous logerons !